The Über-Weiße from Baron Brewing is a hearty beer. Their website calls it a Weizenstarkbier, which we'd call a wheat doppelbock, and it stands up to the name. It pours dark and opaque with a thin tan head what proved to have little retention, and on the nose it is an orchestra of roasted malts, banana, coffee, and chocolate. It lives up to its appearance, with a thick, hearty mouth feel with a lively effervescence. The yeast gives off notes of banana, which mingle happily with the chocolatey, roasted-coffee flavors that dominate this strong, dark beer. It's an impressive take on a German wheat doppelbock, that's for sure, and I'd recommend giving this beer a try, even if doppelbocks aren't your thing. Leffe Brune on Draft at the Gypsy! After a long wait, the Gypsy Blues Bar finally has Leffe Brune on tap. This is a brown abbey ale whose blonde counterpart is a pretty popular beer in these parts, but it's always a treat to get something like this from a keg. It pours a translucent dark brown with a thick off-white head that leaves behind a good deal of lacing. The nose is malty and nutty, with the banana-like aroma so common of Leffe's beers, promising a hearty dose of Belgian goodness with every sip. Indeed, the beer does not disappoint. Unlike a Flemish brown, which typically has a strong sour note, this beer is more like a typical ale. It is sweet with malt, with a solid Belgian character. However, for those who don't like Belgian beers, or are looking for an easy introduction, I'd say that Leffe Brune is far more approachable than many Belgian ales, and is really quite a treat to have on tap. The Gypsy Blues Bar is located at 205 W 8th St in Medford, Oregon. They've got thirty beers on tap, so even if the Brune isn't up your alley, I am certain that one of their brews will be. Tell them I sent you! Bear Republic's Pete Brown's Tribute Ale, an award-winning beer, was quite a bit more than I was anticipating. Thinking I was just about to encounter your standard brown ale, I was perplexed when it poured a deep ruby-brown, barely translucent enough for a hint of light to shine through it. It has a thin tan-white head with big bubbles and moderate retention, and a burly aroma that fills the nose with strong molasses, roasted barley, and definite coffee notes. This is not your average brown ale. This is more like the Bigfoot of brown ales, in fact. It follows up its dark appearance and hearty smell with a solid, medium body that borders on thick. It's smooth, but rich with dark, roasted flavors, lots of molasses, and sweet malts. It's a big beer, and perhaps not as refreshing as your average brown ale, but it's certainly worth trying, and I'd certainly recommend it. 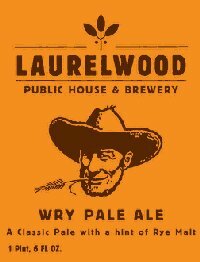 When I first popped open the bottle of Laurelwood Wry Pale Ale, I didn't know what to expect. There have been a lot of rye beers on the market lately, and most of them do a nice job of bringing out the bitter astringency of rye without completely overrunning the rest of the beer. So I didn't know what to expect, but I had high hopes for this Laurelwood brew. It pours a beautiful, clear gold with a nearly white head that has quite good retention. On the nose it's fresh and floral, with a substantial but not huge hop character coming through. It smelled so good that I couldn't wait to sip it, so I didn't, and I was happy. 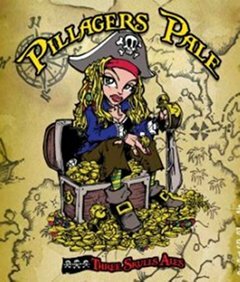 This beer has a great mouth feel, with a perfect pale ale consistency and a very pleasant level of carbonation. The hops and malt balance nicely, and there's just a hint of rye bitterness throughout the palate. This is a great pale ale, and a really wonderful example of what a rye beer can be all about. It's highly recommended! Let's go back in time to 1183 AD, to the setting of that Peter O'Toole classic, The Lion in Winter. Europe was rather chilly, and neither coffee nor tea had yet to be introduced to England, nor had hops yet been introduced to beer. One imagines that mornings would have been pretty dreary, because poor old Henry II couldn't even get a mimosa (no oranges, no Champagne! ), and his hot braggot would have been flavored with heather or nettles or something unpleasant like that. It's really no wonder he had so much trouble with his sons. Luckily, in these modern times, we have a variety of morning delights to distract us from our filial tribulations, and in winter months hot coffee or tea can be used to warm our troubled spirits as well as our chilled bodies. It is this cherished attribute we wish to draw your attention to today. When the colder months approach, waxing one's moustache in the morning can become rather taxing. During the day, the wax stays nice and firm, as the Winter sun doesn't seem that good at melting it, but chilly fingers do a poor job of softening and spreading the wax to begin with. This is why you should have a hot, fresh cup of tea or coffee with you while working on your moustache. With it, you can warm your fingers, perhaps warm the wax a bit, and if the going gets really rough, you can take a few sips and let the hot steam from your beverage increase the suppleness of your 'tache, for easier working. It's been nearly a year since Mr Maujean and I have reported on our drinking-and-airgun experiments, and when we last spoke about it we discussed the unsuitability of cigars as an accompaniment to shooting. Well, it was a hot summer day, and I had an imperial stout to review, so I thought it would be nice if I could just sip the stout while I was doing something else. I've always thought that a really nice stout has a range of flavors that develop as the beer warms up, and though I'm not necessarily a proponent of drinking room-temperature (or outside in the summer in Oregon temperature) beer, it can really help one get a handle on a dark one. So I dug out my BB gun, which hadn't seen any action in probably eight months, and set up some targets at an embarrassingly close range. I then popped open the beer, an Eel River Raven's Eye Imperial Stout, and began drinking and plinking. My first step was to take a look at this beer, because I suspected that analyzing the brew up close might help tune and refine my eyesight, thus honing my aim. This is a rich-looking, dark, espresso-colored brew with a brownish-tan head that has poor retention, which doesn't throw me off too much, as I figured it would have a rather high ABV and thus not a lot of yeast life left for bottle conditioning. I then fired five shots at my first target and did horribly. My lack of practice was really showing. "Maybe it's the wind," I thought to myself, and so I sniffed the beer hoping that a bit of olfactory exercise would sharpen my wind-detecting senses, whatever they are. Pleasant coffee and roasted grain aromas wafted into my nostrils. This beer certainly smells like a stout, and certainly looks like a stout, and what the hell, I may as well admit it. I was going to shoot at my second target before tasting the beer, but I couldn't help myself. I was in for a little bit of a surprise. The Raven's Eye has a fairly light, drinkable body for an imperial stout. It's still a big beer, with a surprising fruit character and a rich, medium body that highlights all of the flavors you'd expect from an imperial stout. The heat of its 9.5% ABV is well-concealed, however, and since I didn't look at the bottle while I was drinking it, I assumed it to be perhaps a 7% ABV beer, which would be quite low for an imperial stout. As I continued to shoot, the beer warmed up a little, and the rich sweetness became accented by a nice roasted bitterness in the finish. I enjoyed the beer quite a bit, I must say, and whether it was the quality of the brew or the practice, my shooting improved noticeably by my sixth target, and I was getting much better grouping and even a good number of bull's eyes. While I could never sanely endorse drinking and shooting at the same time, I can sanely endorse this beer, and would urge you to go out and buy some, and maybe save it for the chilly Fall months ahead. Continue reading Plinking at the Raven's Eye. 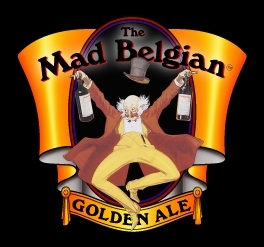 The Mad Belgian is the new seasonal release from Mad River Brewing, following in the footsteps of Serious Madness and Double Dread, both earlier this year. This new release is a Belgian-style golden ale, one of my favorite varieties, so I was really looking forward to trying it. I've had a couple of bottles now, and have formed a pretty solid opinion. The beer pours a hazy, deep gold, and is translucent with very tiny, champagne-like bubbles. It has a finely-textured, slightly off-white head, but unlike a traditional Belgian golden ale, the head is thin and has very poor retention, leaving little lacing. On the nose, this beer is sweet and candyish, with strong malt notes and perhaps a hint of honey. It has an effervescent and smooth body, with a clean, fresh flavor backed by a malty strength, an acidic tartness that was difficult to place, and hints of hop bitterness. Aside from the poor head, I found it to be a rather tasty, malty version of a Belgian-style golden ale, and one that I'd recommend trying. I had heard a lot about this beer before I tasted it, but nobody had really told me what it was supposed to be like. Upon its arrival, the bottle boasted that it was a Flemish red ale, so I feared that it would be another uncomfortably sour beer like The Dissident, Rodenbach, or a gueuze. I approached it with trepidation. Boy, what I wouldn't give for a palate that appreciated sour flavors! I needn't have worried, though. 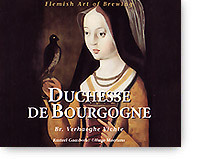 The Duchesse pours a dark ruby with an off-white head that sticks around for a while and leaves a nice foamy lacing in its wake. On the nose, it has notes of green apple, cinnamon, and hints of cardamom and other fruits. It tastes surprisingly sweet and fruity, with flavors of apple, stone fruit, and a very mild sour acidity that acts more as an undertone than a primary flavor note. I found it to be perhaps a bit too sweet for constant drinking, but it reminded me a bit of Lindemans Pomme and was quite tasty. This is a beer that would make a good bridge into more esoteric styles, and may even help the sweet lambic drinker branch into more mainstream beers. It's definitely one worth trying out. I was reclining in my favorite chair this morning, and enjoying a cup of black Assam with just the right amount of honey and sugar and a pipe of my favorite morning blend from Margate, dreaming of drinking really fine bourbon on a trans-continental train trip, when I recalled a website I read from time to time called The Art of Nonconformity: Unconventional Strategies for Life, Work, and Travel. All three of those are useful things to approach unconventionally when one is interested in an affordable life of leisure, but his articles on "travel hacking" are interesting and outstanding. His latest article on this subject includes some funny anecdotes, odd tricks for accruing frequent flier miles, and information on various travel hacking projects he's had in the past. This got me to thinking about any travel anecdotes I might be able to share, and I couldn't come up with any. I remember times when I've had issues bringing flasks through security and all of the times the TSA guys have had a problem with my pipe tool, but terribly interesting.